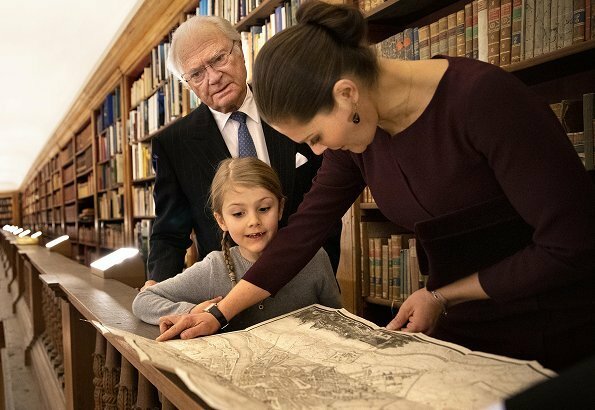 On January 21, 2019, King Carl XVI Gustaf, Crown Princess Victoria and Princess Estelle visited the Bernadotte Library at the Royal Palace of Stockholm. 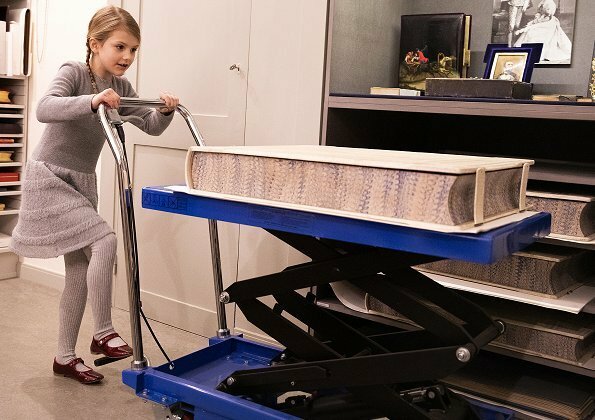 The Bernadotte Library includes the book collections of the Bernadotte family, totalling approximately 100,000 books. 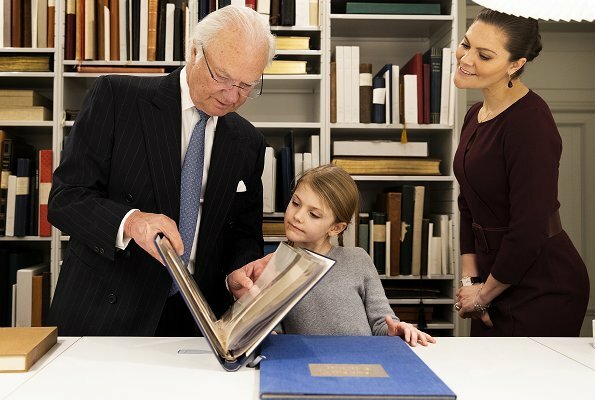 It also includes the Bernadotte photograph collection of around 500,000 photographs. 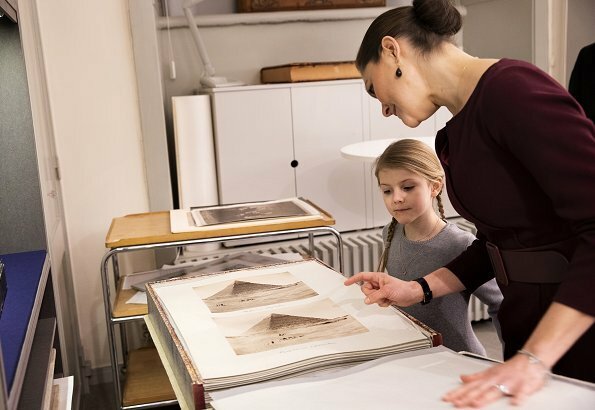 The Bernadotte Library was created by King Gustaf VI in 1952 but it has its roots in the Royal Library (present National Library of Sweden) from 1796. 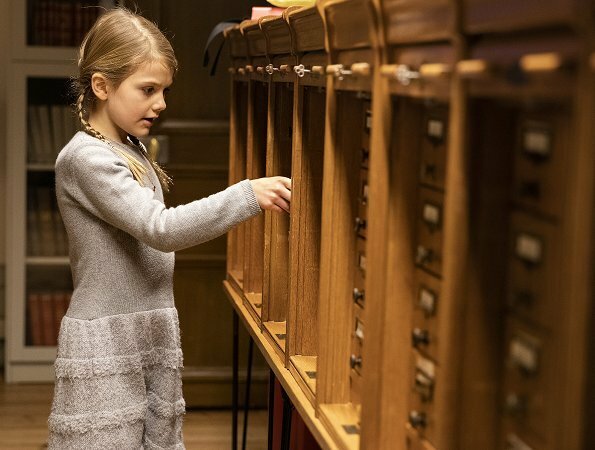 The Bernadotte Library is located in the Royal Castle Northeast wing and shares the same entrance with the Gustav III's Museum of Antiquities. Precious Estelle! She appears very interested and an active learner. Agree! Pictures of her always make me smile! Estelle is a real star like her name. So interested in everything she sees. Victoria´s dress is perfect for her. 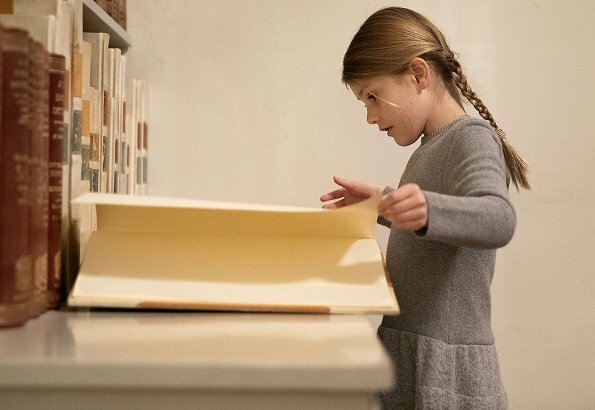 Really delightful pictures, even Estelle's little dress is lovely (fashionwise).